The 28th edition of MIPIM, the world’s leading property market, will take place from 14 – 17 March at the Cannes’ Palais des Festivals. 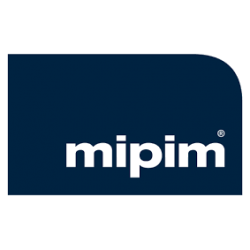 The MIPIM market place is a space where professionals can exchange information and access an unparalleled wealth of information concerning the property market’s biggest developments. Over the four days, visitors will take part in numerous conferences and networking events with some of the most influential actors of the property sector. MIPIM plays an important role in developing business relationships -especially international ones- and encouraging investment projects. Furthermore, the event has become a decisive platform for local authorities eager to promote their area. This 28th edition, also represents a fresh opportunity for Metropole de Lyon and its partners to gather beneath the ONLYLYON banner. The teams the team will be found at stand R7.E4 – Riviera and will present the city’s key urban development projects (Part-Dieu, Carré de Soie, Confluence, Gerland) as well as, its advantages and opportunities. Are you seeking a competitive location? Are you faced with budgetary or recruitment constraints? The Lyon Metropole teams are here to help you in your search, and to make you an offer that meets your expectations. More information about Lyon's international visibility, contact us !